Circle Art Gallery’s 5th annual art auction, (renamed this year the Art Auction, East Africa) is going to be a thoroughbred affair. Possibly the best art auction that Circle has held up to now, it’s bound to be the most diverse, given no less than ten countries will be represented this coming Monday night at the Dusit D2 Hotel in Westlands. By far, the two countries that will be best represented are Uganda and Kenya. Then comes Sudan and Tanzania, with the surprise entry of works by no less than five outstanding Nigerian artists. Ethiopian artists are a bit less, as are Congolese. 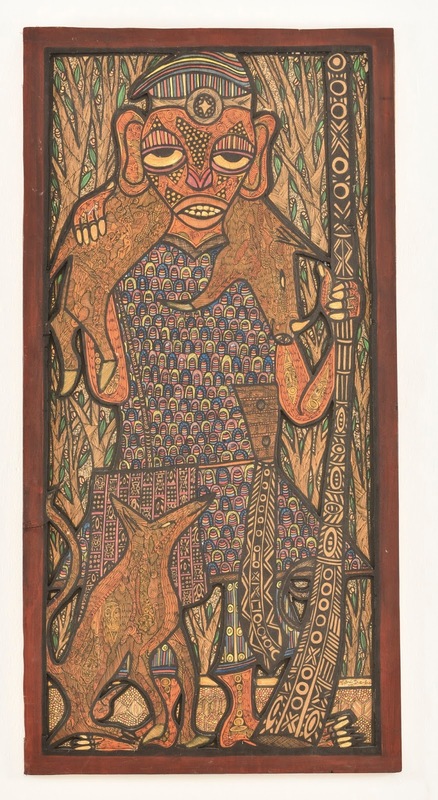 But what’s most remarkable this year is that in addition to Nigeria being a new entry, several others have come in to make this year’s auction look more Pan-African than ever. There will be works by an Egyptian, Ghanaian, South African and even a French-Malagasy. 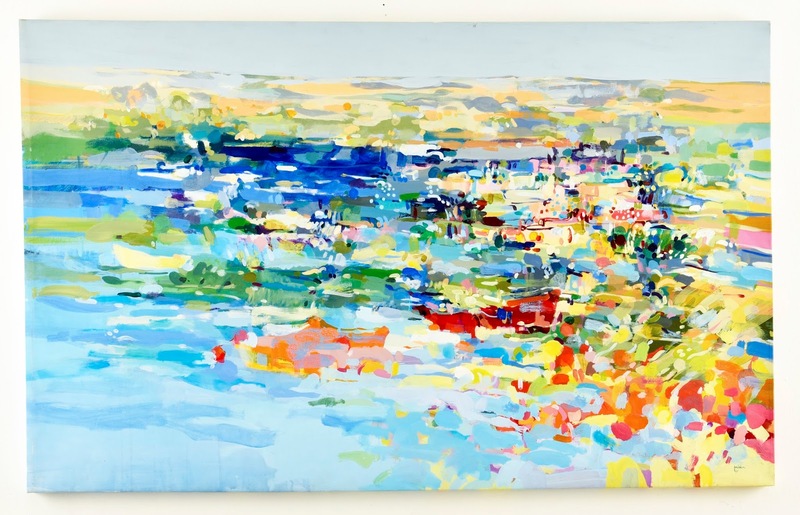 But what will make this art auction all the more exceptional is the revelation of so many up-and-coming as well as elder artist statesmen and women in this show, many for the first time. Among the notable newcomers who’ll be on offer by veteran British auctioneer Dendy Easton (who’s been with this auction from the outset) is the young Sudanese artist Miska Mohmmed whose painting could easily ignite a bidding ‘war’ on Monday night. Already several prospective buyers who have been to Circle’s preview exhibition and seen Miska’s work have wanted to buy it on the spot! But hers is not the only work that has already tantalized viewers who’ve been to see the preview exhibition of all 56 works. As one’s taste in fine art is subjective, I won’t speculate further. But I will say it will be heart-warming to see outstanding pieces by the highly-acclaimed Nigerian artist Bruce Onobrakpeya at the auction. He’s one of Africa’s great artist-elders. His works (which to me seem slightly undervalued) should also inspire a good deal of interest, especially if there are his fellow Nigerians in Dusit’s Den on Monday night. As one saw this past week when Ben Enwonwu's ‘African Mona Lisa’ sold at Bonham's Africa Now Art Auction in London, for more than a million pounds sterling, it was a Nigerian who bought the Nigerian artist’s painting. (One only wished Kenyans collected art by their fellow Kenyans as assiduously as West Africans consistently do). I will say the starting bids on the various paintings, prints, photographs and sculptures ranged widely this year. 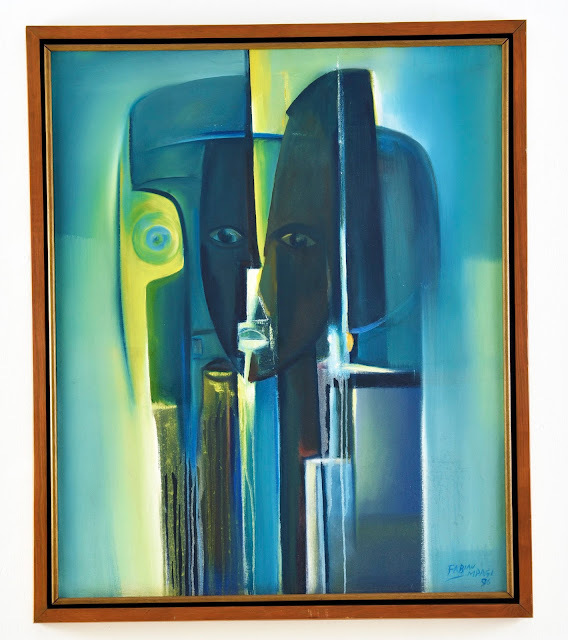 According to the Art Auction catalogue, they run from around Sh65,000 (USD670) all the way up to $12,000 for an exquisite painting by Geoffrey Mukasa and $15,000 for a spectacular piece by Rashid Diab. According to Circle’s curator and co-director Danda Jaroljmek, those figures don’t just fly out of thin air. They’re derived from in-depth research into the artist’s history of sales as well as a number of other salient factors. For instance, in the case of Mukasa, he is not only deceased, and so the number of his saleable works is decreasing, especially as the Ugandan painter has serious collectors of his art who are unlikely to ever consider reselling his art on a secondary art market. And in the case of Rashid Diab who’s alive and well and painting all the time, he frequently has exhibitions in oil-rich countries in the Middle East where sheikhs don’t blink an eye at prices some of us see as sky-high. So his works are priced in relation to the global art market, which Circle must take into account as well. But what should also make Kenyans proud is that around a dozen of their countrymen (no women other than Yony) will be represented in this year’s art auction. Among them are awesome elders like Edward Njenga, Rosemary Karuga, Yony Waite and Jak Katarikawe. But also you’ll see marvelous works by (relative) ‘youngsters’ (comparatively) such as Peterson Kamwathi, Paul Onditi, Gor Soudan, Justus Kyalo, Shabu Mwangi and two more members of Wajukuu Art, Ngugi Waweru and Joseph Waweru. Sadly, there are only seven women in the auction this year. But among the seven are marvelous artists such as Souad Abdel Rassoul, Theresa Musoke, Nike Okindaye, Miska Mohmmed, Gosette Lubondo, Eyerusalem Jirenga and Yony. But three more women provided the backbone of the auction: Danda first and foremost, Asteria Malinzi who designed the catelogue and Bryony Bodimeade who wrote all the cogent texts on the artists.